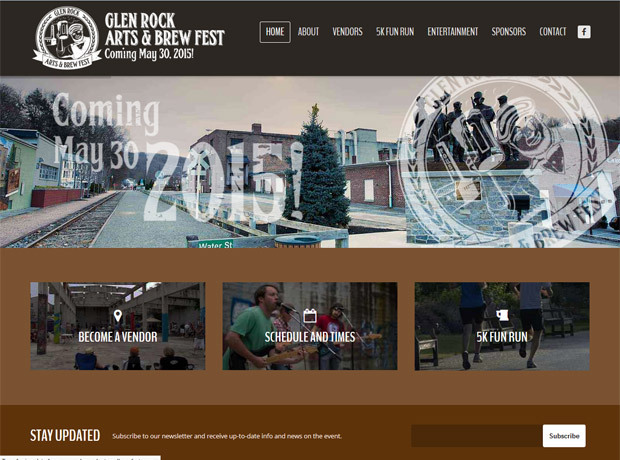 The Borough of Glen Rock, PA is currently in the planning stages for the first annual Glen Rock Arts & Brew Fest to be held on Saturday May 30, 2015 in and around downtown Glen Rock! They will showcase local and regional businesses and artisans in a fun-filled, Borough-wide festival designed to encourage community connectivity, and promote economic and cultural growth. Get in touch with us to discuss your project today. Thank you for all your hard work on our new web site and database. We are very happy with it, its great to receive compliments from clients explaining much easier the new database is to use! Copyright © 2013, NCD Solutions, LLC. All rights reserved.